Chloe Holloway (center) is greeted by Joe Cain, Kentucky Farm Bureau Director of Commodities (left), and Dr. Larry Grabau, Associate Dean for Academic Programs of the University of Kentucky College of Agriculture, Food and Environment (right), during the 2017 Institute for Future Agricultural Leaders (IFAL). 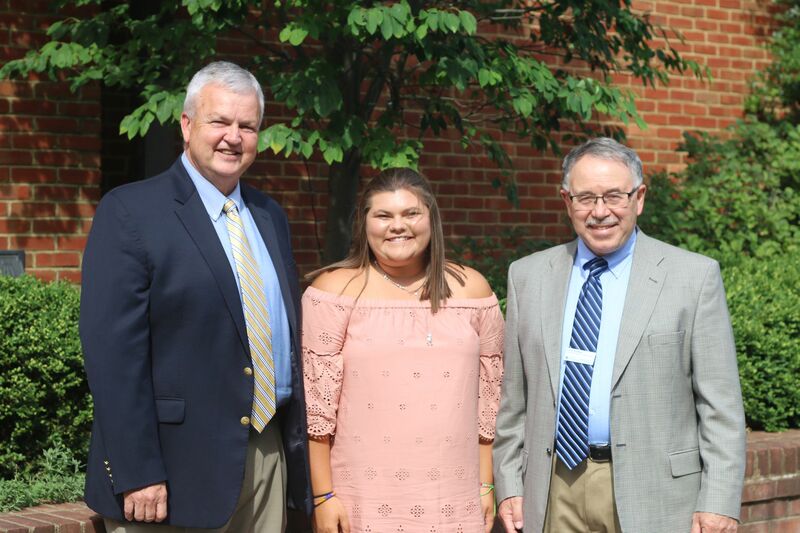 Louisville, KY (June 26, 2017) – Christian County high school junior Chloe Holloway recently returned home from Kentucky Farm Bureau’s Institute for Future Agricultural Leaders (IFAL). Holloway and 43 other high school students from around the state attended the five-day summer leadership conference, held June 18-22 at the University of Kentucky. An identical IFAL conference was also held June 11-15 at Murray State University for an additional 44 students.